A few years back, Aliya was just a dream. I’ve been saying I would make Aliya for the longest time, but logistically and mentally I just wasn’t truly prepared for it. I always said I would be going right after I finished college, but lo and behold, my senior year approached and I was making plans to stay in New York, not leave it. Towards the end of my last year, I met my now-husband and we instantly connected. What about? Israel! We both had a love and passion for Israel, and through him, my love and determination to move to my homeland came back. Eventually, we started making concrete plans for when we would move. Fun fact, my husband is younger than me, so our plan was to make the move soon after he finished college. We got married and settled into our apartment in New York, with an eye towards the end date of our apartment lease as an approximate Aliya Date. We were doing it. August 31st arrived. The day our whole lives changed. Our families had flown/drove in to see us off at Newark Airport, and it was a very emotional day. I have always lived close to my little sister. We’re best friends, and this was the first time we would be leaving each other indefinitely. There was no return date on this one, unlike when I studied abroad for 6 months in college. This was a forever choice—though I’m still holding out for her to join me here, (ahem ahem Cheni!). We knew we would be seeing our families often; we both come from families who make it a point to visit Israel often enough, but it was difficult nonetheless. I was also leaving behind my adorable nieces and nephews who are so young and constantly changing—who knows if the youngest one will even remember me the next time I see her? Anyway, we finally said goodbye at the last possible moment and, crying tears of sadness but also of joy, we passed through security to embark on the next chapter of our lives. The plane ride itself was nothing special since it wasn’t a charter flight. There were around 70 of us on the plane who were making Aliyah, and we each did our own thing. My husband and I went to sleep before long, since we would be landing at 6 AM and wanted to be ready for the day ahead. Right before landing, the Nefesh B’Nefesh representatives who were accompanying us went around asking us to fill out some paperwork and gave us each our “I am an Oleh!” sticker. I proudly wore that the whole day. Then came landing. There was no visible pomp or pizzaz in the landing itself, but that was when it hit me: we did it, we have made it home to where we belong. It was really sinking in that we had just made this life-altering decision and I couldn’t have been happier about it. No regrets. For the next few days, my husband and I would drive around in our rental car and just turn to each other and be like “we live here?” and we really did. It was just so crazy to believe that this idea we had been talking about for so long had just become our reality. From there, our absorption into the country went fairly smoothly, with only some minor bumps in the road, like trying to convert our driver licenses. Other than that, and me getting very sick a month in, life was great. We had moved to an amazing community, gotten really lucky with our apartment, were making new friends, my husband had gotten a job at WeWork and I was starting out my career as a private chef. Now it’s been 9 months since our Aliya and it’s also Yom Ha’aztmaut (Israeli Independence Day). There are no mixed emotions for me. I am just truly and utterly happy. To be celebrating Israel’s Birthday as an Israeli citizen is an amazing feeling. Yesterday though, the country all stood together and mourned the losses of everyone who gave their lives to this country, to MY country. We mourn them, we cry for their shortened lives, we thank them for all that they have sacrificed so that we can live peacefully. And the very next day we celebrate everything that they sacrificed their lives for, so that we the Israeli people can live. Beautiful. So tonight and tomorrow I will be out celebrating with my friends, making a classic Yom Haaztamut BBQ (or mangal as we like to say), hiking the lands of Israel, and just enjoying the life I now live. Not everyone is able to go out and BBQ or take the day to celebrate Israel, but here’s an easy way you can. 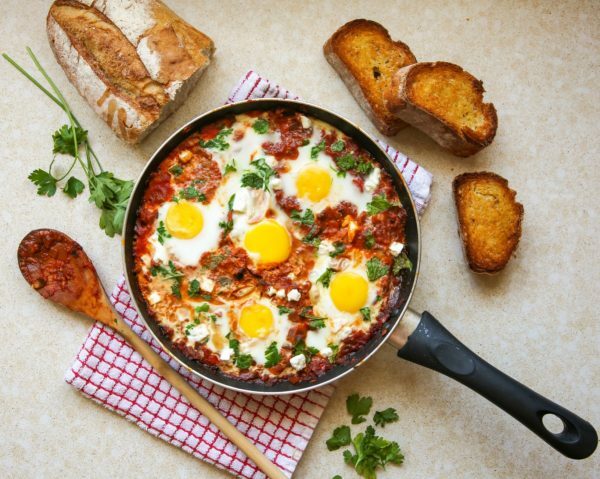 Make yourself some shakshuka, it’s delicious and it can be your way of celebrating all that our country has accomplished! 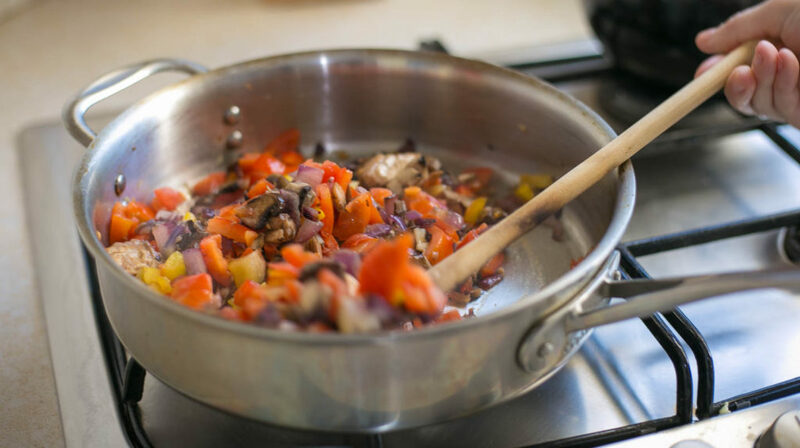 Heat up the oil in a large sauté pan over a medium flame. Add in the onions and sauté until golden. Add in the garlic, pepper and jalapeño. sauté until softened, around 5 minutes. Add in the mushrooms and sauté until the mushrooms have shrunken down. Add in the tomato paste and stir to coat. Cook for a few minutes to let the sweetness come out. Add in the tomatoes and all the spices, up until black pepper. 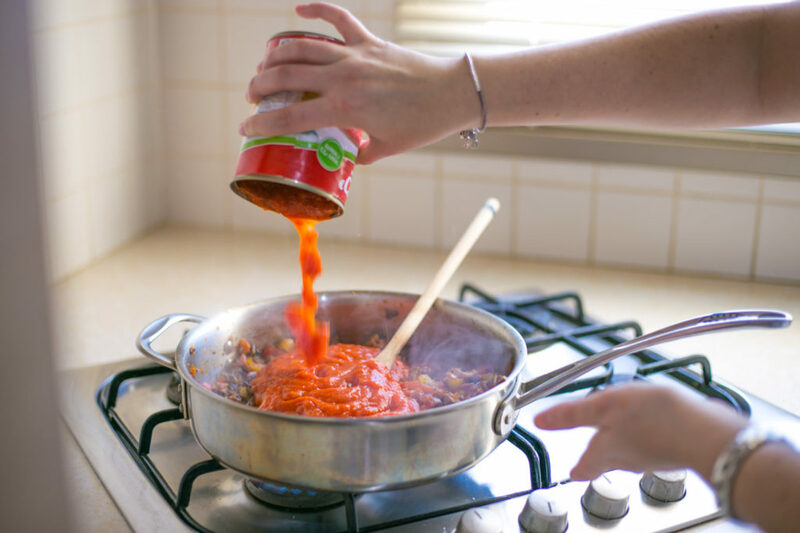 Stir everything to make sure it's well mixed and add in the can of tomato sauce. Cover the pan and cook until the sauce has thickened, around 5 minutes. 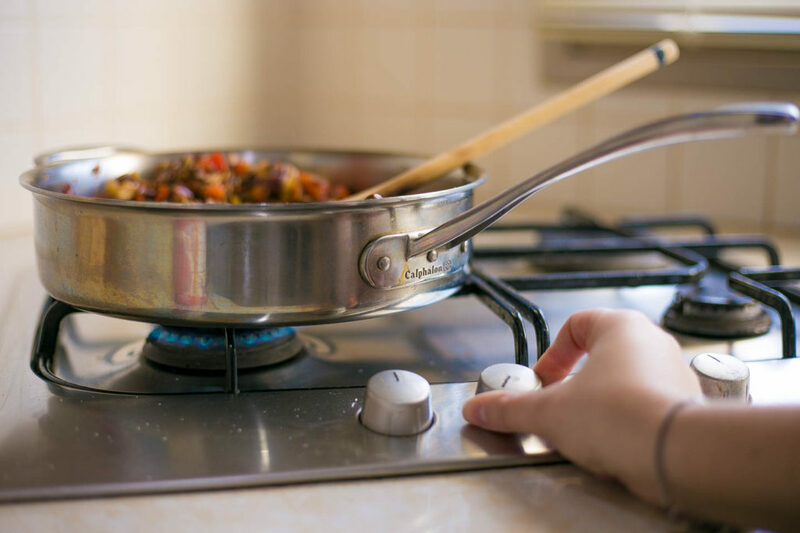 Sprinkle your choice of cheese on top, cover and cook until the cheese has started to melt. 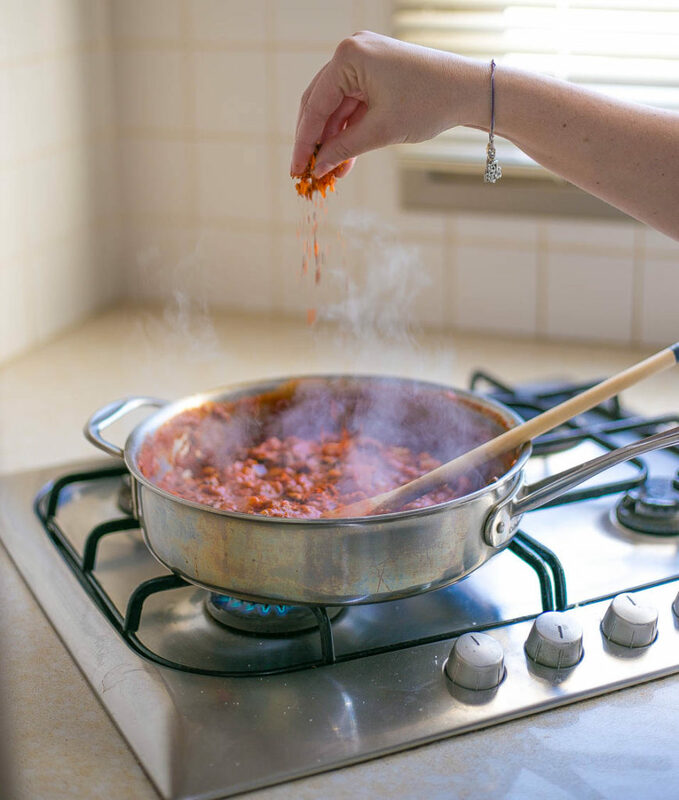 Make a well in the tomato sauce for each egg your adding in, making sure that there is tomato sauce on the bottom. Add one egg to each well, cover and cook until the whites have set but the yolks are still runny. Garnish with parsley and serve with bread! 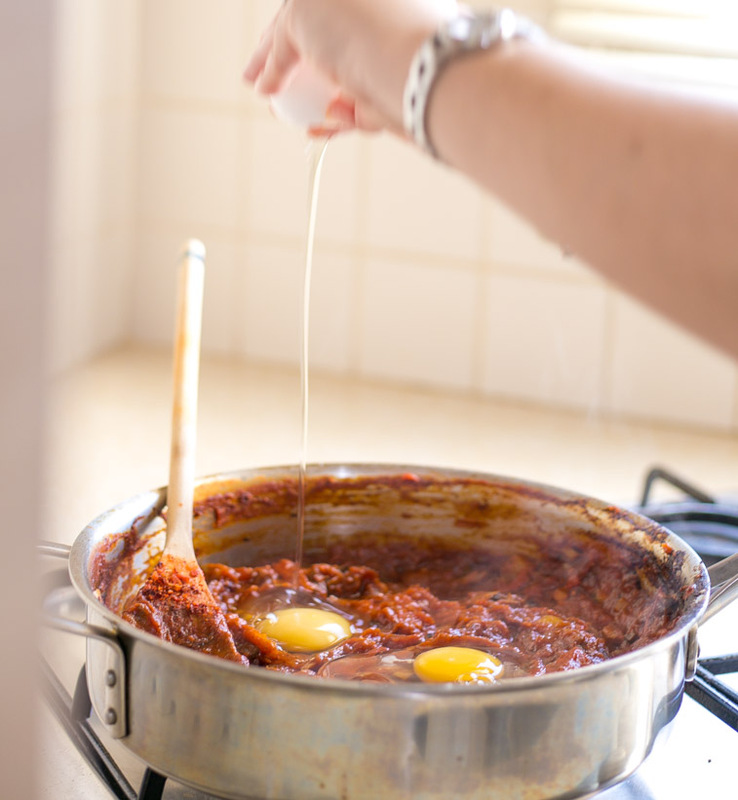 What is shakshuka spice blend? Is there something I can substitute for it?